No more lighting up on the Belmar beachfront. 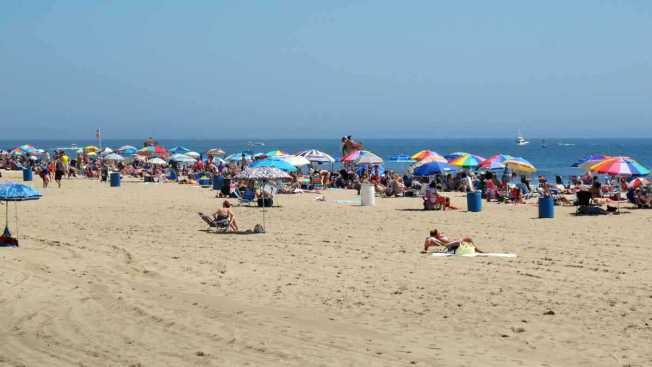 The Belmar Borough Council voted Tuesday night to ban smoking on the beach and boardwalk, according to an NJ.com report. "Mayor Matt Doherty said the ban, which would be in effect year round, was an attempt to make the enforcement of smoking policies easier and to help keep the borough’s beaches clear of cigarette butts, which he said are the most common type of litter found on Belmar’s beaches every year." To the Teacher Who Showed Me How to Carry a Big Shtick: ¡Gracias! In previous years, Belmar restricted smoking to certain areas of its beachfront. However, Doherty said these guidelines were not always adhered to – for example, by visitors who may have started smoking in a designated area but then walked through different sections of the beach." Numerous New Jersey municipalities have enacted smoking bans in parks and/or beach areas, including Harvey Cedars, Island Heights, Lavallette, Long Branch, Point Pleasant Borough, Seaside Park, Somers Point, Spring Lake, Stafford, and Surf City.